"Remember - It's Your Party - We Do!" My name is Andy and with the help of my wife Linda, run A.R.C. 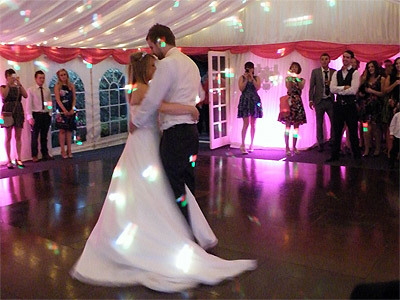 Disco, a professional mobile disco, based in Bishops Stortford. We provide local people with a professional mobile disco service. Using modern equipment and many years of experience, the service is designed to give clients peace of mind. All clients wishing to book will receive a comprehensive booking pack which includes booking form, terms and conditions and a music request sheet. All bookings will be confirmed in writing once the booking form and initial deposit has cleared in the bank. 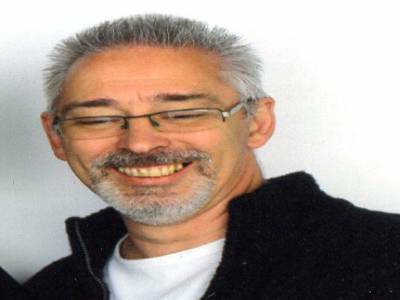 I aim to provide you with a quality disco at prices that won't break the bank. We really enjoy what we do and feel this is shown through the quality of service we offer. We take time to listen to our customers, ensuring they are satisfied with what they get. 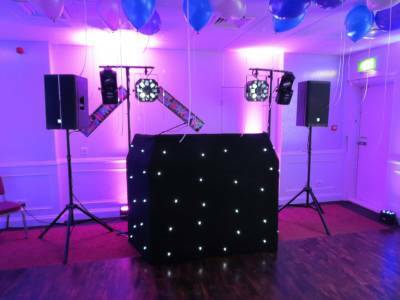 We can provide professional mobile disco services for weddings, civil partnerships, birthday parties, anniversaries, retirement parties, leaving parties, children's parties. We welcome lists of your favourite tunes which we will play at your party. We do not subcontract other DJs. Remember that it's YOUR function - we do! Required by many venues, A.R.C. Disco has a current PLI policy with Mobile DJ Network in the amount of £10 million. Also required by many venues, A.R.C. Disco has supplied satisfactory evidence of holding current PAT inspections of their equipment dated within the last 12 months. A Method Statement outlining A.R.C. Disco&apos;s Health & Safety procedure for setting up disco equipment has been provided. A.R.C. Disco has provided Risk Assessments undertaken at events sourced via needadisco.com, indicating that they can undertake these competently. Why do people choose to book A.R.C. Disco? Good value for money and supplied a lights option for a good price. Also good communication. Reasonably priced and extras included. Their profile seemed very good. "Andy was brilliant on the night! Having just taken over the pub we did not know what to expect at all from a NYE party point of view so I just booked Andy as his Website was by far the best!. Andy made the night! He was superb. We had lots of families turn up with children, he catered to them all and just made sure that everybody had a fantastic time! I would recommend him anytime! And he was so good we will be doing the same next year!" "It was our pleasure to have provided the music for your engagement party. Thank you for your kind remarks"
"Thank you very much for your kind comments. 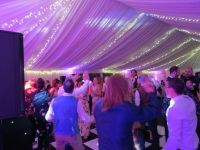 It was a pleasure to provide the disco for your wedding"
"ARC Disco were fantastic and provided the perfect soundtrack to my 30th Birthday Party. They played the list of requests that I had made prior to the event which were very eclectic and the tracks they chose themselves fitted well with these requests. They also happily took requests on the night and were happy to accommodate an impromptu cake and speech. I wanted to dance into my thirties and Andy and Linda made sure the music allowed me to do this with my friends and family. Andy and Linda were very friendly and professional. Thank you for your contribution to an amazing night!" "Thank you very much for your kind comments. It was a pleasure to provide the disco for your 30th Birthday"
"Fantastic guests danced all night and had a wonderful time. " "It was a pleasure to provide the disco for such lovely people"
"Andy and Linda were very professional and helpful to us as novices in getting a disco/dj for our event. They kept us informed of what to do and their requirements. They arrived and set up with no fuss and exceeded our expectations. They handled the whole event very well catering to the wants and needs of the attendees. All our requests were met they made the event really enjoyable. I would have no hesitation in recommending them, and using their services again as opportunities arise." "Thank you for your kind comments It was our pleasure to provide the entertainment for your Party"
"A.R.C. Disco provided a good disco for our party, having a wide range of music available, including the party favourites liked by our wide range of ages. Everyone enjoyed themselves. Thanks." "It was our pleasure to provide the entertainment for a your event, we are happy that you had a good time"
"provided up-lighters around the room in matching pink to match my decorations. The lighting was amazing - which made the room look beautiful. Music was brill - I don;t think I sat down the whole evening as I was always dancing. Made the whole evening more special - well worth every penny. thank you"
"It was a pleasure to provide the entertainment for such a wonderful couple, thank you for your kind comments"
"From the first email was a pleasure to deal with. Andy and Linda were just what my wedding wanted. Would definitively recommend to anyone!. A fantastic service!" "Thank you for your kind words they are very much appreciated." "All took place with minimum fuss and was well organised and delivered according to spec and expectation." "It was our pleasure to provide the entertainment for a lovely couple and their friends"
"Very happy with Andy and his DJ skills for my pubs NYE party." "We had a great evening with some lovely people, thank you for booking us"
"Good DJ. Several people complemented the choice of music played. He made note of the sort of music we wanted played and drew up a playlist based on our preferences." "Andy and Linda were fantastic. They got the dance floor filled up very well and used our song requests very well. They handled our timing delays superbly and were very polite and helpful. I would highly recommend them and they gave great value for money." "It was a pleasure to such lovely people who knew exactly what they wanted, which made for a very sucessful day, thank you for your kind words"
"Everybody commented on the music and said they had a lovely time and that the disco was one of the better ones and would like their details if they wanted a disco. Very pleased I chose them." "It was a pleasure to provide the disco for such lovely people, thank you for your kind words"
"Really pleased. 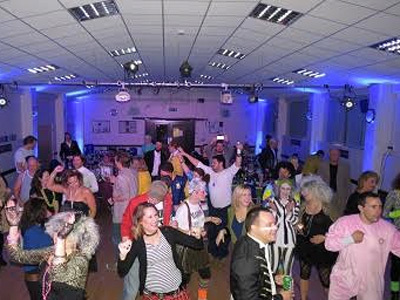 Lots of people commented on the great music"
"Thank you It was a great 80s night with great guests and a pleasure to have taken part in"
"A great DJ and disco, highly recommended!" "Thank you for your kind words and your support"
A.R.C. Disco also offers a range of additional party services not directly linked to musical entertainment. Please note that needadisco.com has no editorial control over these images which are stored on flickr.com. If you have any concerns about what you see below, for example potential copyright infringement or unsuitable content, you should take this up with A.R.C. Disco directly using the Contact section below, or else you may alert flickr.com directly quoting "set number 72157659916991784". Remember - Its Your Party - We Do! If you are contacting A.R.C. Disco about an event, it's always a good idea to include the DATE, LOCATION, EVENT TYPE, AGE GROUP and TIMINGS to speed things up!